The conference will take place in the hotel "S'Agar� Hotel" which is located in S'Agar�, a seaside pictoresque village in the Costa Brava, about 100km north Barcelona. The conference will also include a session in Barcelona on Saturday 3rd June, including a conference by Carles Sim� and a banquet. There is a limited number of rooms available at "S'Agar� Hotel", which are reserved by the organization. There are special rates for participants: 84 € in single room, 70 € in double room. Both prices include breakfast and dinner. There will also be rooms at nearby hotels. Please do not contact the hotel yet. Complete information about lodging will be provided after the acceptation. More information about the hotel can be found in its website. S'Agar� is located in a very touristic area of Catalonia and lies between the villages of Platja d'Aro and Sant Feliu de Gu�xols. By plane:The closest airport is Girona-Costa Brava Airport which has a considerable amount of low-cost flights to many cities in Europe. Barcelona airport is the major airport in Catalonia and has many connections. 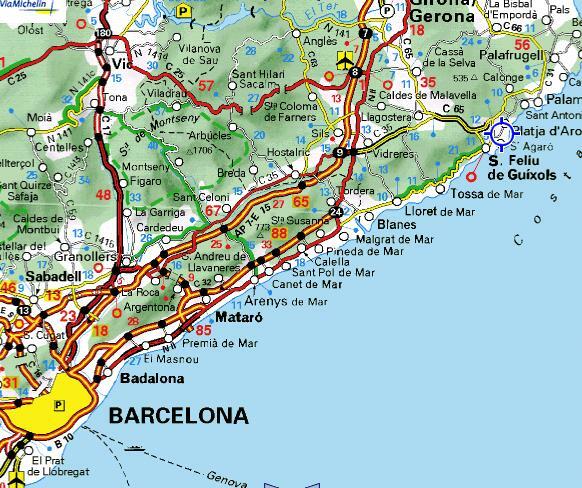 By train: International trains stop at either Girona or Barcelona. You can check for train connections at RENFE webpage. 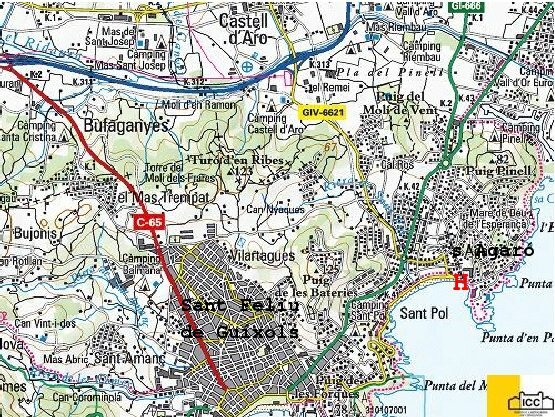 By bus:From Girona (bus stop, close to the train station), there are two public bus services: Teisa S.L. and Sarfa (Grup Sarbus). From Barcelona (bus station, beside the train station Estaci� del Nord), Sarfa (Grup Sarbus). There is also a public bus service from Barcelona airport (in El Prat) to Girona, Eurolines viajes. Travel from/to the airports will be provided by the organizers on Sunday 28th May and Saturday 3rd June. More information will be given in due time.